A California preschool teacher charged with spiking toddlers' sippy cups with sleeping pills entered a "no contest" plea, prosecutors said on Friday, reducing her original 10 charges down to five. Deborah Gratz, 59, of Hollister, Calif., is expected to be sentenced on July 5 and faces a jail sentence on five misdemeanor courts. "No contest" has the same effect as a guilty plea. Gratz was released from jail after she was arrested March 11 on her own recognizance following her arrest. She has declined media interviews. Gratz supervised 10 children at the Kiddie Academy childcare facility in Morgan Hill, Calif., from which she has since been fired. Prosecutors said that on that day in question, the cups were confiscated before any of the children drank from them. Teachers, prosecutors said, found residue in five of the cups. 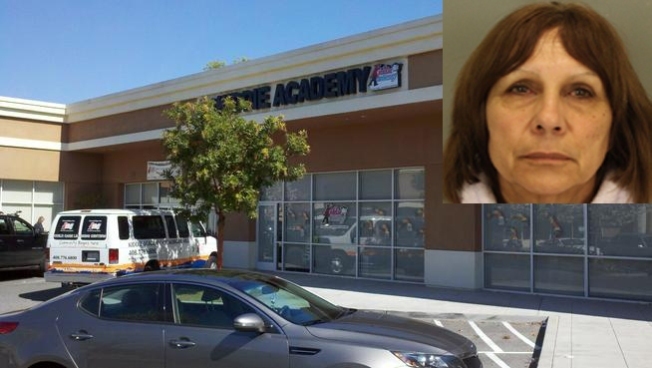 Morgan Hill police said on Tuesday that they have arrested a teacher at the Kiddie Academy Childcare Facility for allegedly putting a sleeping aid in the toddlers' drink cups. Marianne Favro reports. The sleeping aid, Sominex, is not supposed to be given to children younger than 12.